BURNABY, B.C. 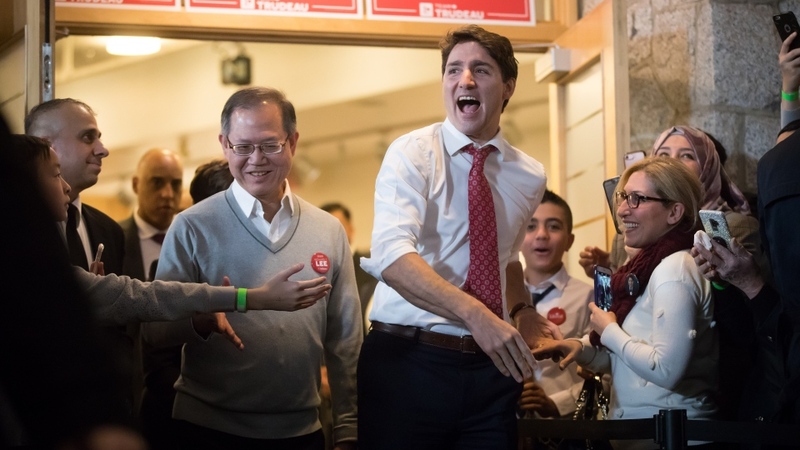 - Justin Trudeau said the Liberal candidate in Burnaby South will be a strong voice for the community, as he campaigned on Sunday in the riding where New Democrat Leader Jagmeet Singh is seeking a seat. “We need strong local voices standing up for you, fighting for you in Ottawa, and that's exactly what Richard is going to be,” Trudeau said. After the parade, Singh called on Trudeau to waive solicitor-client privilege to allow former attorney general Jody Wilson-Raybould to speak about allegations the prime minister's office pressured her to tell federal attorneys to drop the SNC-Lavalin prosecution in favour of a remediation agreement. Trudeau has denied his office “directed” her. While the Green Party of Canada has extended a “leader's courtesy” to Singh by not running a candidate against him, other parties have not. Conservative Jay Shin and People's Party of Canada candidate Laura-Lynn Tyler Thompson are also vying for a seat. Lee said he's proud to be part of “Team Trudeau” because he believes in transparent, better politics and a strong, multicultural Canada.